What is more exciting than looking at the School bus travel live on the map with a default refresh rate of 15 secs, hence giving more insight to the safety. Attendance of the student is updated on the Tracer cloud application using the RFID reader by passive tag methods. Manual mass SMS notice filtered as per bus route standard and section can also be sent using Tracer application. Worry no more about keeping a tab on errant drivers, get instant email, SMS alerts when the School Bus over speeds with location and speed details along with graphical visuals. In case of any emergency, just select the Bus route and get the details of students like blood group and contacts. All reports with respect to attendance, bus location, speed, stoppage, history and other details can be downloaded or printed through the Tracer application. Now make virtual fences on your map and get SMS and email alerts if the School Bus leaves any designated geofenced area. School Bus fitted with MY SAFE TRAVEL device and RFID reader. Location details from the satellite is received on our MY SAFE TRAVEL GPS tracker module. Location Detail along with Student attendance from RFID is transmitted via GPRS or 3G from our MY SAFE TRAVEL GPS & RFID devices. Data from the MY SAFE TRAVEL device is received on our server through the cellular network, which is stored for analysis. Alerts are sent via SMS and email to parents and transport managers. View live Bus location details, student attendance and other reports from anywhere using our MY SAFE TRAVEL cloud-based application. Track all buses in real-time so parents can be notified of the actual arrival time, minimizing the time children have to wait, exposed to bad weather or other dangers. Alerts can also be set up so that fleet managers receive a message the instant buses enter a no-go zone or drivers engage in unsafe driving. Improve the regularity and timeliness of preventative maintenance with automatic GPS tracking on vehicles. Know in advance when the servicing is due, to minimize downtime and unwanted breakdowns as well as to allow sufficient time to schedule substitute buses. Accurate mileage tracking also means better warranty recovery another cost saving. Monitor the driving patterns to make sure drivers operate their vehicles efficiently, eliminating unnecessary idling, observing speed limits and not taking detours. And because GPS tracking is considered as an anti-theft device by most insurance companies, you can save on insurance premiums, too. Avoid time-consuming manual collection of fleet activity needed for state reports and compliance. With GPS tracking, this information is automatically collected and reported, which saves time and minimizes errors for both drivers and fleet managers. 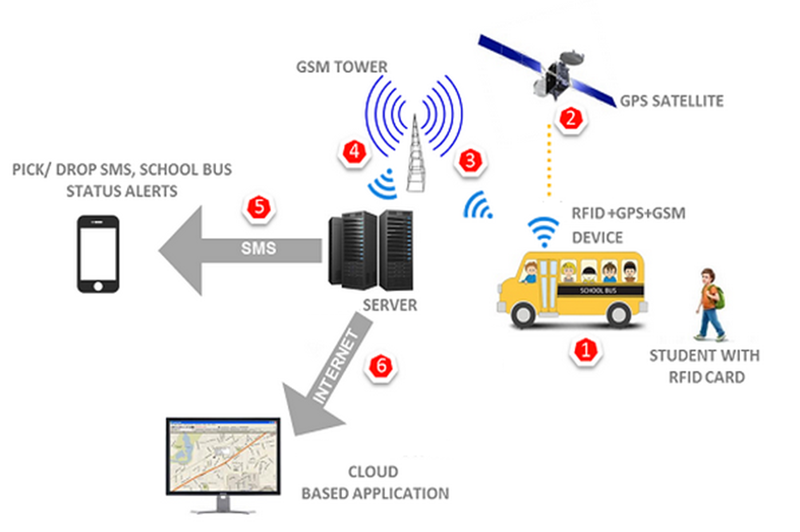 GPS tracking not only makes a fleet more profitable, it also benefits the students, parents and government agencies. 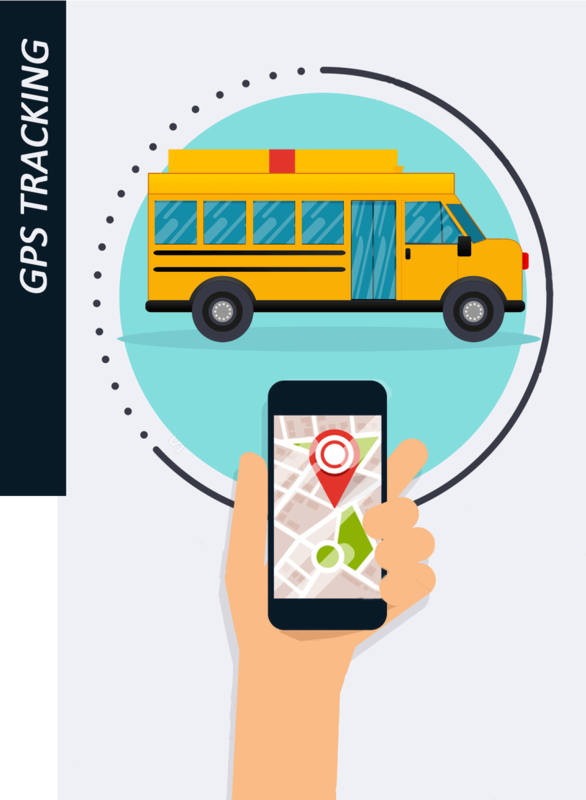 By highlighting the benefits of real-time GPS tracking, school bus companies ensure a greater chance of winning the tender. Driving patterns allow school authorities to evaluate the efficiency of the drivers and to record engine idling time. Engine diagnostics and automated driver log sheets help in reducing fuel consumption and cost. The automatic GPS tracking system applies well in notifying vehicle service periods and so helps in maintaining its condition. Systematic calculation of mileage capacity would advantage in managing expenses for fuel. The advanced system of bus route optimization advantages in boosting the efficiency of school transportation. This would also help in reducing fuel consumption and thereby contributing towards a greener environment.